There's a new definition of "debauchery" in town. 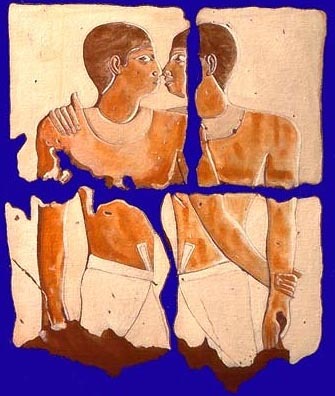 Five dudes were sentenced yesterday in Egypt to three years in prison for the "habitual practice of debauchery"; which is a fancy way of saying "consensual homosexual behavior", the Associated Press reported. In addition to prison time, the men will undergo an additional three years of police supervision—that is, they'll have to spend every night, from 6 p.m.-6 pa.m., in a police station. The five convicted Wednesday were among 12 people arrested in a sweep that began in October, when police arrested a man during an altercation with another man on a Cairo street, Human Rights Watch said. Human rights groups claim the men were targeted for having the AIDS virus, and officials used the debauchery charges to prosecute. Four of the five men convicted yesterday tested HIV-positive after all were forced to undergo blood tests in custody, Human Rights Watch reported. The New York-based rights group issued a statement Tuesday signed by more than 100 other organizations around the world condemning the prosecutions.